Tearsheet: Ottawa Magazine - September 2013. 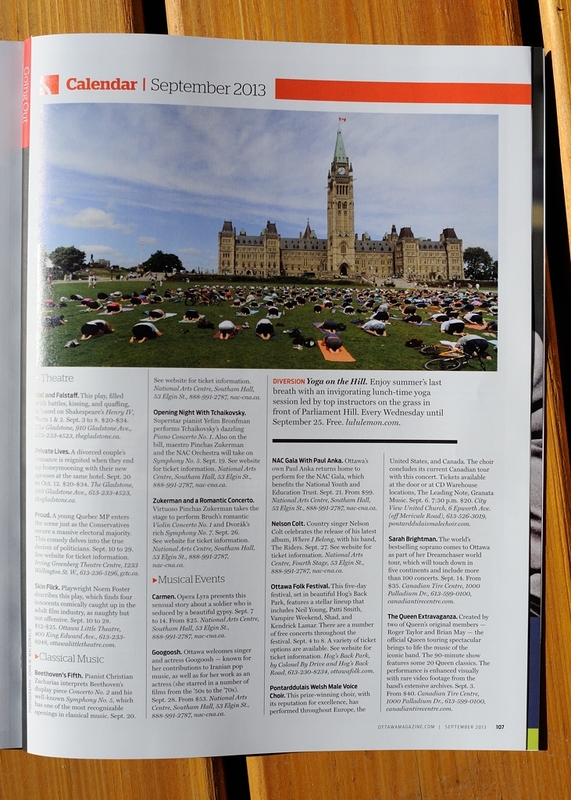 My 2009 photo of Yoga on the Hill is still making the rounds. Proud to have it published in this great local magazine.